May | 2007 | Chickens Don't Clap! The puntastic first glimpse of the Interpol’s upcoming Our Love to Admire doesn’t differ too drastically from previous works, feeling like a sort of middle ground between “Slow Hands” and “C’mere” from Antics. Yet, that’s not to say that the single isn’t successful in piquing interest — it’s extremely catchy and features some sweet bass lines, swirling guitar riffs, and a taste of ominous synth. 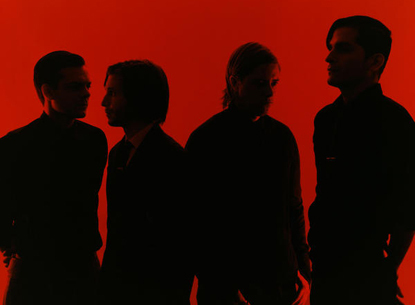 Interpol largely sidestepped the dreaded sophomore slump, so we’ll have to wait and see if the new album can live up to the critical response that was garnered by their first two efforts. The buzz surrounding Dan Deacon has reached a near fever pitch, coming to a head with the coveted “Best New Music” honors that were bestowed by Pitchfork last week. It’s easy to see why Spiderman of the Rings could be considered one of the better albums of the year, but I was actually a little surprised that Pitchfork has been so adamant about it, considering they have been fairly consistent in shooting down most acts that get hyped by blogs. I suppose there’s little point in shooting down something that’s so undeniably good. Strongly embedded in geek culture, Dan Deacon combines experimental electronica, chiptunes, kid’s music, bubblegum and nerdcore — all with a large dollop of weird. The opening track, “Wooody Wooodpecker”, utilizes the laughter of said character as a foundation and then builds an entrancing, triumphant mess of xylophone, programmed percussion, and chiptunes upon the cacophony. “The Crystal Cat”, the obvious choice for the first single, follows as an outright dance number in which Deacon constructs soaring pop melodies and playfully defiles them with his chipmunk wails. This pretty much sets the overall tone for the album, which somehow maintains a delicate balance between abrasive, experimental noise and poppy, weird fun. If you can’t get down with these opening songs, you probably can’t get down with the record… and I honestly pity you for it. 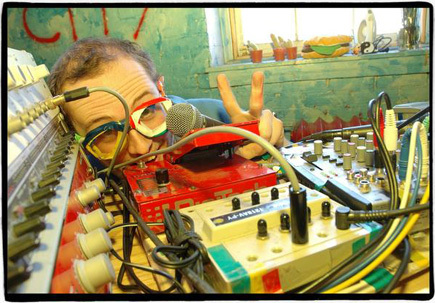 Dan Deacon is also preparing for a massive two month U.S. tour, starting on May 25th. Check out the full list of dates on his myspace page (linked above). His live shows are supposed to be something special, even “as fun as third-grade birthday parties”. That statement (from The Forkcast) is meant to be taken quite literally, as Deacon often engages in various organized crowd activities — from handing out lyric sheets for sing-alongs to games of dance tag. If that’s not an incentive, I don’t know what is. Bonus: The video for “The Crystal Cat” is essentially an incarnation of the surreal weirdness that dominates Spiderman of the Rings. It combines lo-fi psychedelics, nonsensical glimpses of men in strange costumes (often doing things that make you feel a bit uncomfortable), a looming 8-bit-like “crystal cat”, and Dan Deacon bringing some serious nerdcore. You couldn’t really ask for more. Though the legacy of Brian Wilson is a constant presence in pop music, his influence has been particularly evident this year. It was only recently that I truly began to understand the insane genius of the man behind Pet Sounds, probably one of the greatest musical works ever created, so the prevalence of worthwhile followers has been welcome. 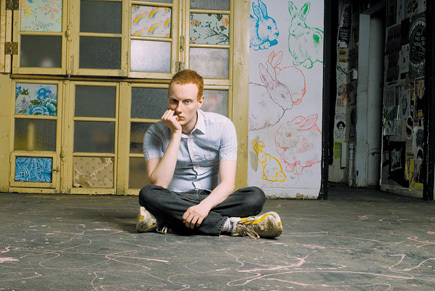 One of the finer, and maybe more indebted, Wilsonian acts of 2007 is Miracle Fortress, the solo project of Graham Van Pelt from Think About Life. His upcoming full-length debut, Five Roses, is littered with sparse, dreamlike soundscapes of swelling psychedelic pop. Beyond the obvious homages in the music itself, Van Pelt also approaches youth and love much as Brian Wilson did on his magnum opus — pensive and bittersweet. The album comes out May 22nd, and then can be officially counted in this year’s ever growing list of superb indie pop. It’s shaping up to be a pretty strong year for indie pop. Sure, there’s always a fair amount of good indie pop, often just because there’s such a mass of it released, but proportionally this year seems especially impressive. 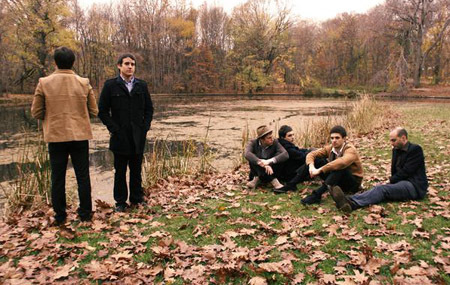 White Rabbits, set to release their debut album Fort Nightly, can be counted among those more impressive contributers. Utilizing an interesting amalgam of sounds — from melodic New York garage rock to swaying, piano-driven, calypso-like indie rock — they’ve crafted a somewhat bleak album, highlighted by a few moments of lighthearted pop. “The Plot”, one of Fort Nightly‘s more accessible tracks, is also perhaps the catchiest and most triumphant song on the record. In fact, this song has a habit of getting lodged in my head every time I hear it. The album comes out on May 22nd on Say Hey Records, be sure to check it out. Chromelodeon just recently released what will be their final album, in conjunction with their farewell show on April 27th. Blending heavy post-rock sounds with chiptune-style synthesizers, their career works are split fairly evenly between video game covers and original compositions. In fact, they’re the only band I know of that combines more traditional rock elements with chiptunes — it seems it’s always one or the other — and the results make you wonder why no one else has caught onto this idea. The final recordings are all originals, heavily inspired by video game music, and easily rank among their finest works. They have a very limited quantity of the final album, releasing only 100 at their last show and offering an additional 50 through Myspace. So, if you want a copy I recommend messaging them about it immediately. Bonus: Chromelodeon became known in part due to their awesome live shows, which involved the band playing against the backdrop of various moving images, ranging from Ninja Gaiden cut scenes to mesmerizing 8-bit video art pieces. Check out the strangely beautiful chaos that was to be projected while the band performed “Polygon Sun” (and prepare to slip into epileptic shock).